Prevent Cancer Now » Can citizens stop a project to revive Canada’s deadly asbestos trade? Fifteen months ago, in October 2010, Indo-Canadian businessman, Baljit Chadha, made an offer to purchase the Jeffrey asbestos mine in the town of Asbestos, Québec. The mine, now closed down, had been in operation for 130 years and for most of the 20th century was owned and operated by the U.S.-based Johns Manville Corporation. In 1982, however, faced with thousands of claims on behalf of workers who were dying (or had already died) from asbestosis and mesothelioma, Johns Manville filed for bankruptcy and sold the mine to Québec owners. Denying evidence filmed just a few months earlier for a CBC documentary showing workers in India handling Québec asbestos with their bare hands, Coulombe assured that the project to revive the mine Guarantees Safety, Responsible Use and Jobs. In addition to being an unfortunate choice of words, Coulombe’s assurance of certified “safe and responsible practices from cradle to grave” is total falsehood. Chadha himself admits that the investors’ guarantee of “safe use” extends only to 0.1% of the life cycle of the exported asbestos – only to the factory that receives the asbestos. Chadha washes his hands of what happens once the asbestos-containing products leave the factory and are placed in schools and homes in Asia, where there are no safety requirements and little awareness that asbestos kills. Most people who die from asbestos-related diseases do so because they were exposed to asbestos in the community and outside the factory. “We can’t be held responsible for what happens after the asbestos-containing products leave the factory,” Chadha’s PR agent, Guy Versailles, told the CBC. This is a cynical, deadly scam. It is a scam likewise practiced by Prime Minister Harper and Premier Charest. These political leaders tell Canadians that Québec’s asbestos is safely used under rigorous, controlled conditions overseas. They do not mention that Harper and Charest are referring to only 0.1% of the life cycle of the asbestos. Even for the 0.1% of the life cycle, Harper, Charest and the asbestos dealers are, of course, practicing gross dishonesty. A two-year study carried out by Québec health authorities reported that asbestos is virtually no longer used in Québec factories, but that in the handful of factories where it was being used, there was a 0% success rate in following required safety measures. ON the other hand, a Chrysotile Institute publication, financed by and bearing the official emblems of the Government of Canada and the Government of Québec, states that the asbestos industry studies show that in developing countries like India, Indonesia and Zimbabwe, the success rate for “safe, controlled use” of asbestos is 99.8%. This stunning success reported by the asbestos industry is reminiscent of voting results in North Korea. It challenges credibility. When questioned about this disparity, Québec minister Clément Gignac could give no answer. Furthermore, the Québec government’s own health authorities have repeatedly told the Québec government that it is impossible to practice “safe controlled use” of asbestos, even in Québec itself. Sadly, the Government of Québec and the Government of Canada spurn health authorities and have instead put the asbestos industry in charge of Canada’s asbestos policy. Every Canadian should be seriously disturbed at this example of blatant corruption of public policy. As Canadians, we are responsible for the duplicitous scam that our government is practicing. Both Prime Minister Harper and Premier Charest support Chadha’s project to re-open the Jeffrey asbestos mine. The Québec government has already approved a $58 million loan guarantee to finance the project. As of this date, however, in spite of political support, Chadha and his foreign investors have not succeeded in coming up with the $25 million that Chadha said he already had in October 2010. Opposition by courageous health authorities in Québec, by asbestos victims and by ordinary fair-minded Canadians has for more than a year succeeded in discouraging investors and stopping the project from going ahead. The Québec Medical Association has said that Chadha’s Jeffrey mine project is against the public interest and will lead to increased deaths from asbestos. Around the world, health experts and asbestos victims are appalled at Canada’s complicity with the asbestos lobby and its deadly propaganda. They are placing their hope in the determination of Canadian citizens to stop the re-opening of the Jeffrey mine. We must do everything we can to deliver on that hope. 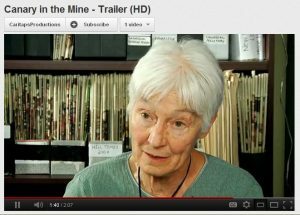 Watch Kathleen in this two-minute trailer for “Canary in the Mine”, a new documentary that will soon be released at film festivals. Canary in the Mine explores the personal and political ramifications of one of Canada’s most controversial industries: the mining and exportation of asbestos. For more information on asbestos and how you can take action, be sure to visit our website. Be sure to watch Rick Mercer’s rant on Canada’s outrageous behavior on asbestos. Rick’s rant aired on September 20, 2011. 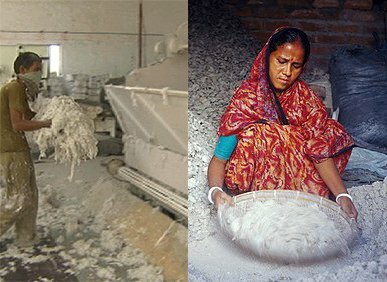 Watch this powerful documentary (click “Play Video”) from Australian Broadcast Corporation foreign correspondent Matt Peacock examines Canada’s immoral exports of asbestos to the developing world. The piece originally aired on November 9, 2011. Duration is 30 minutes. If you have problems with the video player you can read the transcript here. 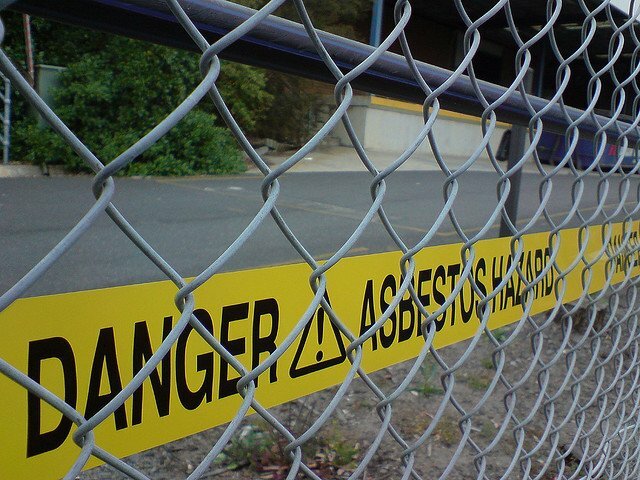 Read this great blog from Lyn Cockburn: Let’s say goodbye to asbestos. Lyn is known for her satire, irreverence and biting commentary, and most of all for being unrepentant! The Asbestos Lie is a book by Maria Roselli (originally published in German in 2007) about the practices of the Swiss Eternit asbestos-cement company. The book documents how SE used slave labour during the 2nd World War and how financial, political and bureaucratic interests colluded to cover up the scientific evidence allowing the asbestos industry to reap huge profitswhile so many died. Merlin Press will be publishing The Asbestos Lie in English in the coming months. Follow the link for more information. 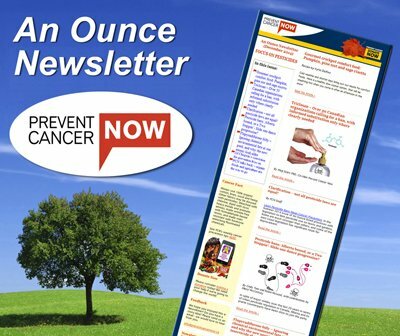 Prevent Cancer Now Co-Chair, Diana Daghofer, responds to asbestos exporter (December 2011).